Taxing climate pollution, CO2 in particular, is the most efficient way of directing capital markets toward investing in clean energy. But in our polarized political arena, both climate science and conventional economics seem to have been sacrificed at the altar of talking-point simplicity and corporate interests. With tax increases effectively taken out of the conversation, are there any tools at the government’s disposal to better unlock investment in clean technology? The answer is classically American: the free market. America is supposed to love competition, right? So why has energy traditionally been an exception to the American free-market narrative? To begin understanding, we need only turn to recent history. Since Rockefeller and Insull, Big Energy has turned energy markets into the Bermuda Triangle of innovation, impenetrable to newcomers and beholden to by incumbent companies. 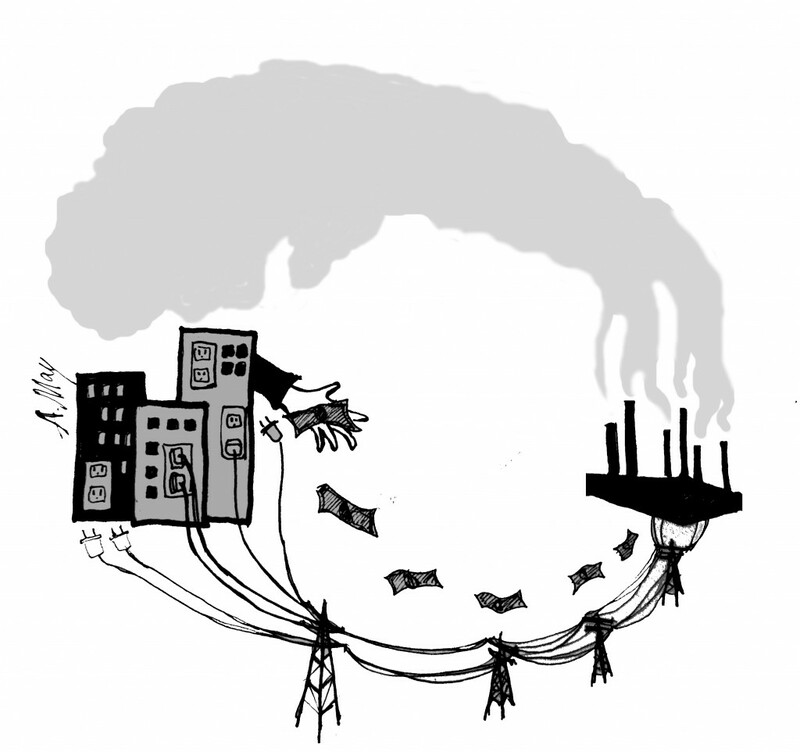 Four prime distortions exist to rig power markets towards the dirty status quo: subsidies, restricted market access, “public insurance,” and publicly sponsored transmission and distribution (T&D). 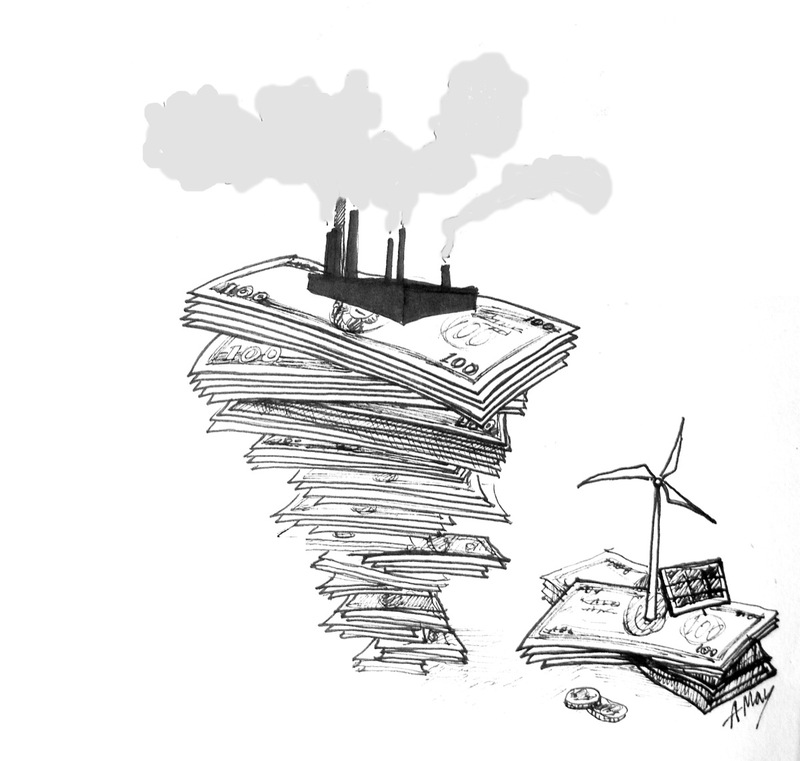 Theoretically CO2 taxes attempt to rebalance the market and its distortions toward lower greenhouse gas emissions. But what if we just removed the distortions? Might clean-tech become competitive if, instead of valuing CO2, we put greater emphasis on true competition and T&D assets? Might that help us get over political squabbles over taxation and begin generating the cleaner electrons we so desperately need? The answer is yes. The solution, however, starts with diving into the rabbit hole of America’s electric power supply system, aka “the grid,” deemed by some to be the world’s single-largest machine. Ever wondered who pays for the power lines that move electrons from a power plant at the speed of light to your toaster? Well, most likely you do, along with everyone else in your neighborhood. And you continue to fund their maintenance and the installment of new ones each time you pay your electric bill. 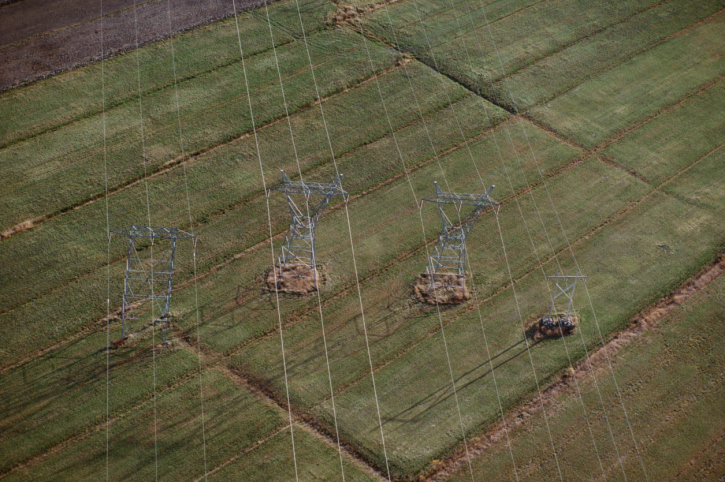 For big, dirty generators like coal-fired power plants, which come with a lot of health risks, you tend to pay for long transmission lines to feed power into population centers. As currently structured, cost allocations and the public process of approving transmission networks have no capacity to reward energy providers for avoiding transmission. But that’s precisely what needs to happen. Since a hefty portion of each electricity bill corresponds to the T&D network— sometimes as much as one-third of the cost— reducing transmission can easily be linked with reducing electricity costs. States like California have committed to connecting transmission and distribution to clean energy technologies, but even in the Golden State, very little progress has been made beyond talk. A joint study between IEA, OPEC, OECD, and the World Bank estimated that consumption subsidies for fossil fuels amounted to $557 billion in 2008. The United States doles out nearly $100 billion annually to fossil fuels in direct payments (compared to $50 billion of total US renewable electricity sales last year). According to analyst Richard Munson, utilities’ monopoly on retail access strangles investments in on-site generation and steam recycling. This in turn denies renewables and efficiency providers bulk power system payments, such as ancillary services, balancing, and in some cases, capacity payments. Combined, these represent markets worth some $30 billion per year, a potentially huge source of revenue for cleaner technologies. More disturbing is that too many dirty generators implicitly receive public insurance via bailed-out Superfund cost overruns. Then, when liable parties declare bankruptcy, the public assumes 100% of cleanup costs. For coal-fired power generators, storing their 98 million tons of annual fly ash in surface ponds would get a whole lot more expensive in private insurance markets, possibly to the tune of $20-50 billion. State Farm is not exactly rushing into insuring coalmines. Just as the federal highway system enabled the car-economy, current policy enables the dirty-energy economy. It is time to empower the clean energy economy by providing renewables something like a sophisticated HOV-lane. T&D costs approximately $1-$6 million per above-ground mile. The Brattle Institute estimates that US investment in T&D could collectively reach $880 billion by 2030. Like the highway system, transmission should be considered public-sponsored infrastructure. Practically, this is achievable through rate-tariffs. Instead of subsidizing inefficient fossil-fuel generators with public-sponsored transmission, we need to reward assets that require zero or minimal T&D expenditures. Doing this is achievable by setting a per MWh standard for avoided costs as a tax credit or, preferably, by providing direct payment to providers based on the cost of avoided transmission over a specific period of time. Because dirty plants are built far away from cities for emissions and environmental compliance reasons, the public foots the bill to transport dirty power into cities. This discourages onsite generation, virtually all of which could be facilitated by generator systems that are easily paired with city-deployable solar or micro-Combined Heat & Power (mCHP). Avoided transmission costs are already routinely calculated by regulators for large-scale generation, but only rarely are they applied to decentralized or demand-response generation. Formulating standards for decentralized, low-carbon generation is hardly an engineering feat. In general, around 50-60% of the retail mark-up is a good proxy for T&D costs, meaning that distributed power could achieve up to $.05-$.10 per kWh in savings. This level of compensation would significantly promote investment in cleaner distributed energy, while charging centralized fossil generators for the transmission they need. What about providing large-scale transmission for clean energy projects? The small-is-beautiful philosophy associated with distributed renewables has waned in recent years, as megaprojects, like Alta Wind Energy Center or the Ivanpah Solar Power Facility have redefined our definition of scalable renewables. Bringing low-carbon energy projects into cities is only a partial solution. We also need to establish metrics that encourage transporting clean electrons into cities. Huge benefits can be realized if we’d only locate remote facilities in optimal generation climates. Transmission for large-scale energy projects should be financed based on the CO2/MWh produced by connected generators. This structure allows solar, wind, natural-gas, and yes, even nuclear power, to expand the transmission system for “free” compared to dirtier alternatives, coal in particular. Carbon-intensive generation would need to at least partially finance its own transmission lines outside of rate-coverage, taking charges for coal-towing power lines out of your electric bills. Lastly, natural gas pipelines—that other T&D network—should be subsidized, as long as gas generation is directly paired with a renewable generation project. Again, this is achievable on a MWh per MWh basis, offering support for new natural gas. Benefits could be extended to combined heat and power facilities. The more integrated the project is with renewable generation, the larger the subsidy. This would encourage co-development of renewables and natural gas generation. Since natural gas can be stored, there are also opportunities to avoid large expansions of T&D gas lines in strategic locations. Like all existing energy resources, natural gas is far from perfect. However if it brings us closer to meeting economic, security, and environmental needs than most alternatives, we need to make use of it. And, when we can, we must pair it with renewables. According to my back-of-the-envelope calculations, current subsidies equal about $0.062 per kWh for fossil-derived generation. Today’s T&D is essentially a carbon-intensive electron highway worth another $0.05 to $0.10 per kWh for some of America’s dirtiest electrons. Combined and set against current prices, these values almost triple the US wholesale electricity price, driving prices for wind, solar, and decentralized natural gas below EIA’s estimates for coal and, in most cases, nuclear. If we’re going to encourage low-carbon electricity, we will have to restructure the US electric hierarchy by leveraging avoided and expanded transmission costs. Evaluating clean energy as part of a system— not just as the isolated deployment of solar panels and wind turbines— is a necessary transition. 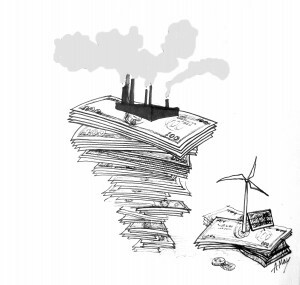 As economists like Paul Joskow at MIT have rightly pointed out, massive investments in renewables have ignored the economics of the bulk power system, resulting in rather futile attempts at cleaning up electricity. Planting a solar panel on everyone’s roof or a wind turbine in every backyard is too simple a response to the complexity of our problems and our landscape. Harnessing the benefits of renewables and other cleantech requires revaluing the limitations and benefits of these technologies in public policy. Though it would surely be difficult and take some time and a lot of stakeholder cooperation, government can untangle the knots in electricity sector policy without a tax. Of course, it is outrageous that subsidies and other politically endorsed handouts are so egregious that we even need a tax to correct the market. But if taxing CO2 is off limits in the current political discourse, perhaps increasing competition and the effective management of expensive public assets will resonate with policy makers and the public. Shifting the electricity sector towards a low-carbon future will generate winners and losers, regardless of the policies in place. But if we are serious about offering low-carbon energy technologies the ability to compete in a free market, removing subsidies for the status quo and redefining transmission finance to better manage publicly financed infrastructure are imperative. And Wall Street will get its favorite kind of reason to pour money into a new, cleaner energy ecosystem: higher returns. Merchant transmission lines do not receive regulated, publically-sponsored payments. However, merchant transmission lines represent only a small portion of the US T&D network. OPEC IEA, OECD, WORLD BANK, “Analysis of the Scope of Energy Subsidies and Suggestions for the G-20 Initiative,” (2010). Direct subsidies include tax breaks, cash hand-outs, underselling of federal land or property for the purposes of energy extraction and exploration, and other atypical business practices designed to financially support the energy industry with public funds or influence. The Environmental Law Institute has published a report detailing subsidy structure for US energy entitled, “Energy Subsidies Black, not Green” at http://www.eli.org/Program_Areas/innovation_governance_energy.cfm. Munson, Richard. From Edison to Enron: The Business of Power and What It Means for the Future of Electricity. Praeger Publishing. Copyright 2005. p.3. Note that Munson’s conclusions are widely supported by evidence released in reports from New England ISO and other organized market regions. For information regarding the value of ancillary service markets, see FERC’s annual market reports, available via www.ferc.gov. Cappiello, Dina. Toxic Coal Ash piling up in ponds in 32 states. Associated Press. 1/9/2009. Available online at http://www.usatoday.com/news/nation/environment/2009-01-09-coal-ash_N.htm. Brian Marrs holds a Master's degree from Yale University in the field of energy economics and policy. Prior to Yale, Brian worked as an energy economics consultant in the United States, the European Union, and several developing countries before serving as a Robert Bosch Foundation Fellow at the German Energy Agency (dena) and Vattenfall Europe, the fourth-largest power provider in the European Union. His expertise includes large-scale project development and finance for energy infrastructure, such as offshore wind and solar thermal generating stations, natural gas generation facilities, coal-fired power, and energy efficiency improvements. At Yale, Brian's research concentrated on entrepreneurialism in the energy space, and he received awards from the Yale Entrepreneurial Institute and a Sobotka Venture Prize for the purpose of launching an energy start-up. Most recently, Brian served as a contributing author to Corporation 2020, a book led by Pavan Sukhdev, Special Envoy to the United Nation's Environmental Programme.